I am not ashamed to say I discovered London MC Loyle Carner in an iPhone commercial. Hearing just 15 seconds of Loyle's single "Florence (feat. Kwes)" got me absolutely hooked, and I'm glad I couldn't let it go. 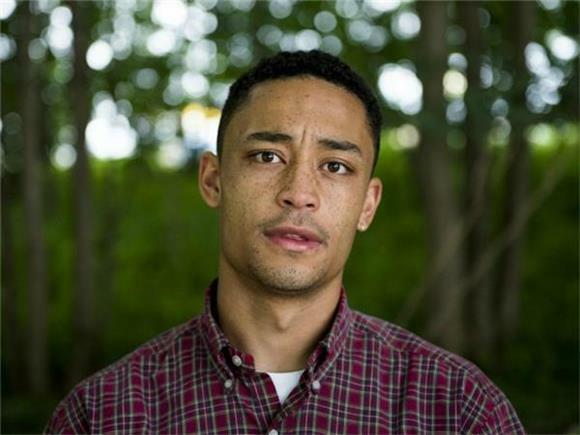 Months later, Loyle Carner (actual name Ben Coyle-Larner) is announcing his debut album Yesterday's Gone and giving us a new song in "The Isle of Arran." The single premiered on Annie Mac's BBC Radio 1 show and the artist gave a short interview afterwards, speaking about the inspiration for the song. Coyle-Larner's introspective lyrics come out with a flow that seems to be second nature, over simple instrumentals that evoke a little bit of head-bob and a lot of emotion. "The Isle of Arran" carries a fuzzy soul-gospel sample and a sedate, piano-heavy beat while Loyle spits with ease. As in "Florence," his lyrics are heavy and introspective through a heavy accent, ranging through a whole spectrum of emotions. The new single is the fourth off of the debut album Yesterday's Gone, with "Ain't Nothing Changed" and "No CD" already out in addition to "Florence." The album looks to be a display of more of the authenticity and honesty that Loyle has put out so far. The tracklist features several London counterparts as well as "Mum & Dad," promising an album full of musical and emotional moments. Coyle-Larner's sentimental approach is coming through in his music, but also beyond it. The artist spends spare time in a program teaching kids with ADHD and anxiety how to cook, which helped him through struggles in his earlier years. Nothing like a sweet story to give you even more reason to listen to a talented up and coming artist. Having shared stages with MF DOOM and Joey Bada$$, among others, Loyle Carner has the experience and seems ready for a big break. Yesterday's Gone will be out January 20th, and is available for preorder now through LoyleCarner.com. Though "The Isle of Arran" hasn't made it to some services yet, it's available on Apple Music/iTunes and you can listen on BBC Radio 1 above. Loyle Carner will be on a UK tour in February, check out the dates below.